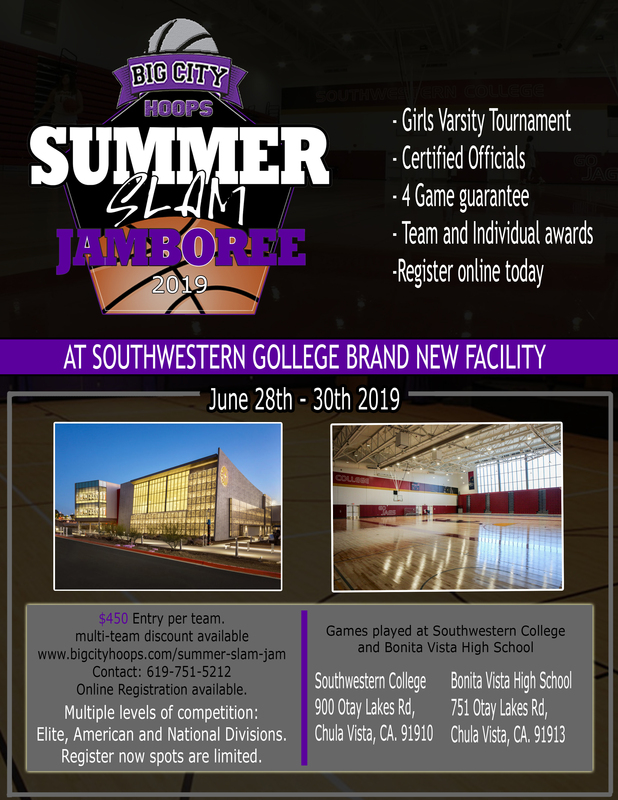 Big City Hoops will be hosting the Summer Slam Jamboree girls basketball tournament in June 2019! Games will be played at Bonita Vista High School and the brand new gym located at Southwestern College in sunny San Diego. This will be a tournament with limited spots. We have already attracted teams from Utah, California, Nevada and Arizona. If you would like to enter your team contact us today or use the link below to reserve your spot. Your designated email to receive schedule changes and updates. Enter High School team mascot. This event is for High School teams. Club teams will not be participating.